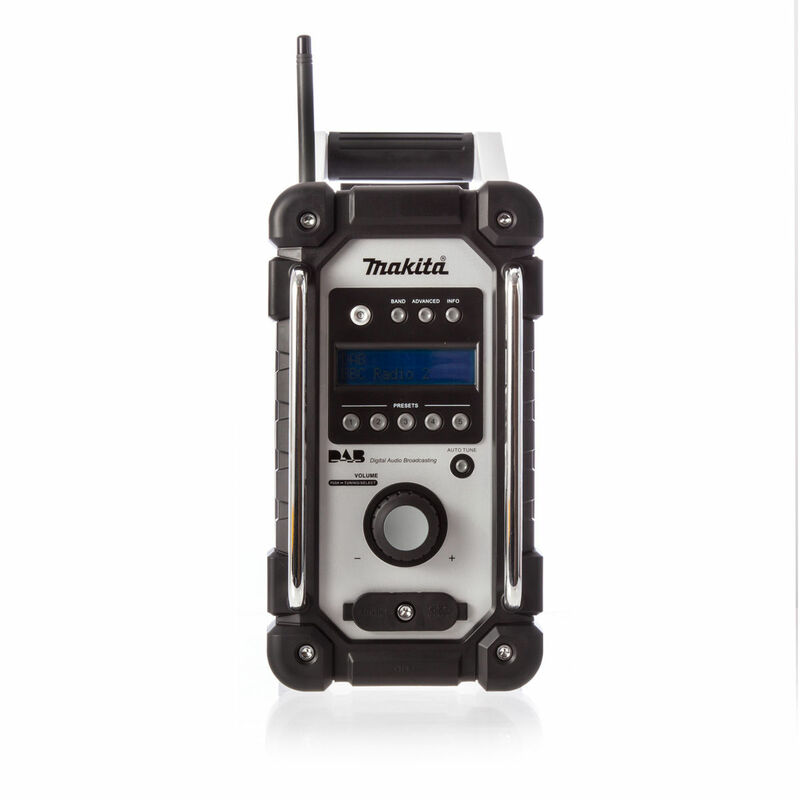 The DMR104W DAB Jobsite Radio gives you the flexibility of listening to your favourite FM channels as well as digital channels when you're working on the job site. Rugged and showerproof and packing a punch in terms of loudness you are sure to turn heads when you turn this on. 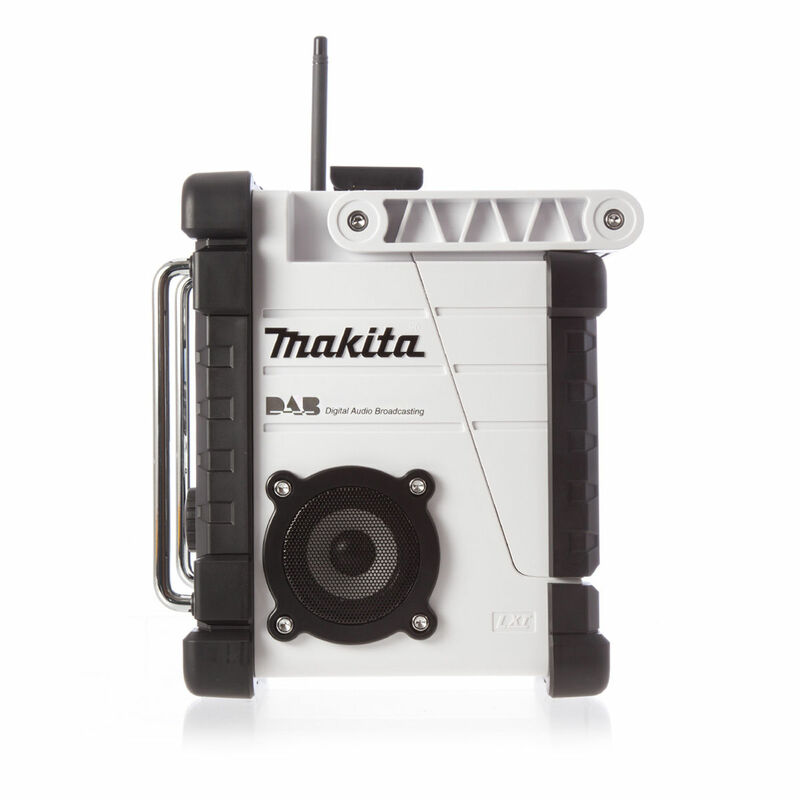 The radio will work from the mains with the supplied adaptor but you can also plug in your Makita power tool batteries to listen. 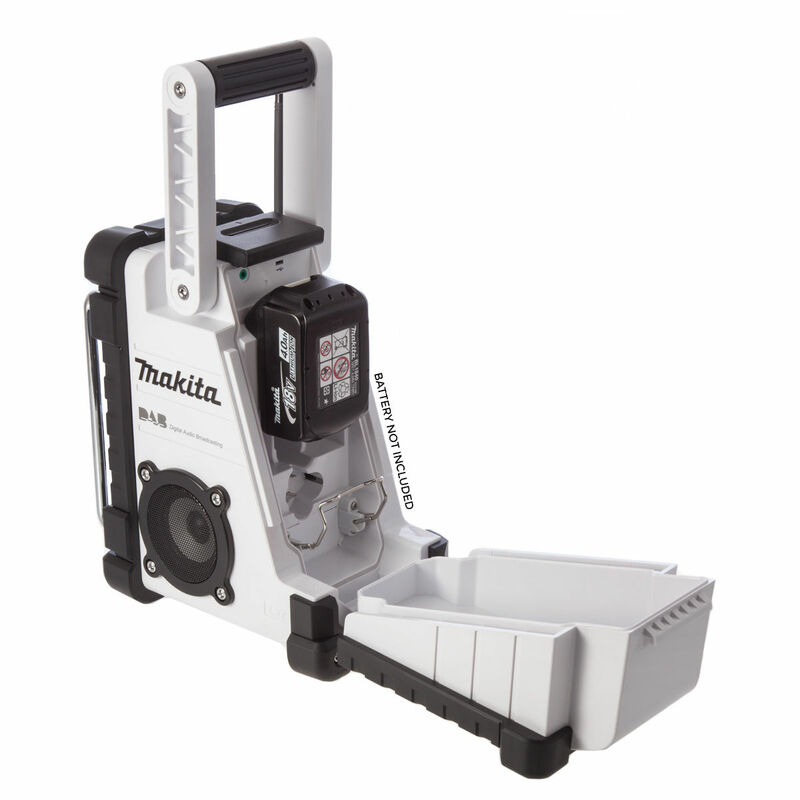 This model accepts virtually any battery manufactured by Makita from 7.2 up to 18 volts. You can also plug in your ipod or MP3 player and listen to it using the aux plug socket.